In what may be the year's dumbest non-compete case, a Louisiana appellate court has affirmed a judgment that an employee did not violate a non-compete agreement she did not sign. Though that sentence may appear confusing, it is the essence of the holding in Action Revenue Recovery, LLC v. eBusiness Group, LLC. The plaintiff sued to enforce a non-compete agreement its general manager did not sign, and indeed refused to sign. The employer's theory - bizarre as it was - rested on the notion that the employee signed agreements for other employees as a representative of the company, and therefore that she had to be bound individually to those trade restrictions. Surprisingly, there was no discussion of frivolous litigation or fee-shifting in the appellate decision, but it is hard to believe this lawsuit could have had a good-faith basis in law or fact. The case is notable in one substantive respect. 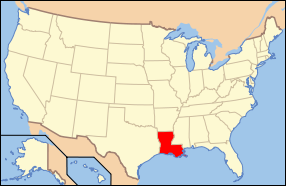 The non-compete - had it been signed - did not contain a reasonably specific geographic term under Louisiana statute. That law requires that the non-compete identify the parishes or municipalities to which it applies; otherwise, the contract is invalid. In this case, the non-compete agreement the employee did not sign only described the restricted territory as applying to "all parishes [plaintiff] covers on a like business in said parishes or counties." Aside from being virtually unintelligible and gramatically challenged, the non-compete failed for lack of specificity.